326 pages | 34 B/W Illus. 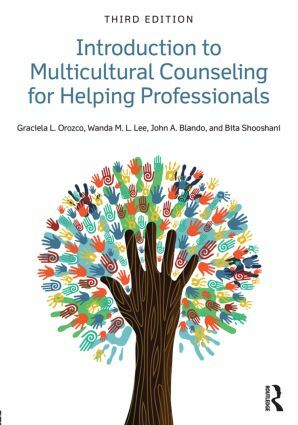 "Introduction to Multicultural Counseling for Helping Professionals is a valuable addition to the field. Written from the perspective of multicultural competence, it is practical, accessible, and yet grounded in the literature which makes it an ideal textbook for trainees. While covering the critical issues in providing effective multicultural counseling to different sub-populations, it nevertheless touches upon key principles and insights. I highly recommend this new text to faculty teaching counseling courses in the helping professions." "I am excited about the third edition of this book! As an assistant professor and school counselor for more than 15 years, I share great resources with graduate students and colleagues. This book is a perfect example of a valuable resource for beginning counselors and has been a required text for my multicultural counseling courses over the years. The addition of the chapter on undocumented students is critical for counselors and presents effective strategies, contemporary issues and case studies for educators to consider. The authors challenge counselors to be true change agents and activists. Are you up for the challenge?" Graciela L. Orozco, EdD, is an associate professor and coordinator of the school counseling program at San Francisco State University. She is Chicana of Purépecha Indian ancestry and has worked for years as a school counselor, educator, and consultant to address the issues faced by marginalized communities. Wanda M. L. Lee, PhD, is a professor of counseling at San Francisco State University. An Asian American woman of Chinese descent who earned a doctorate in clinical psychology, she has more than three decades of experience in the field as a college counselor, private practitioner, counselor educator, and university administrator. John A. Blando, PhD, is a professor in the department of counseling at San Francisco State University, where he teaches courses in couple and family counseling as well as the counseling process. He is a gay man with 14 years’ experience as a counselor educator and is the author of Counseling Older Adults (Routledge, 2011). Bita Shooshani, MS, has worked at college and community mental health settings providing prevention education programming and clinical services. An Iranian Jewish woman who has been practicing for more than 15 years, she is interested in the application of multicultural counseling theories that promote resiliency and community well-being for marginalized people.